Please join us on March 28, 2019, to hear Mr. John Ream present a program on The Medical Side of the Civil War. Mr. Ream is a Civil War reenactor. His talk will be highly interesting. Our meetings are held at St John UCC on North Main St and begin at 7:00. Parking and entrance are at the rear of the building. The meeting is free and open to the public. The Red Lion Area Historical Society will hold its regular monthly meeting on January 24, 2019. The speaker will be Mr. Terry Bluett. His presentation is titled Quest for Freedom. Forgotten Heroes in York County. The meeting will be held at St John’s UCC, 161 North Main Street, Red Lion, at 7:00 pm. Entrance is off the parking lot behind the church. All meetings are free and open to the public. The meeting will be canceled if Red Lion schools are canceled or dismissed early that day. For more information, please call 717-244-1912. Our November 15th meeting has been canceled due to snowy/icy weather. We will reschedule Tom Brenner for another time. Sorry for the inconvenience. The Red Lion Area Historical Society will hold their final presentation of 2018 on Thursday, November 15, at 7:00 pm. The featured speaker will be Society member, Tom Brenner. Tom’s presentation will discuss the Miller Brothers and how they helped shape early Red Lion. He will give a brief history of the Miller family beginning from the 1780s. Tom will tell us about three Miller brothers, William H., Jacob A., and David A., who moved into Red Lion in the early 1880s. They had an impact on the early development along East Broadway, on well-known town landmarks, and on early town organizations and elected offices. The meeting is free and open to the public at St John’s UCC, 161, North Main Street, Red Lion, PA. There is abundant parking at the rear of the church. If Red Lion Area Schools are canceled, the meeting will be canceled too. For more information, please call Robin Miller, 717-244-1912. The Red Lion Train Station Model Railroaders are holding a TCA and Public Open House of their 3-rail O Gauge and N Gauge model railroad layouts located in the historic Maryland & Pennsylvania Railroad’s Red Lion Train Station at 73 N. Main St. (Route 24, one block north of center square) Red Lion, PA 17356. From the intersection of Routes 30 and 83 in York, PA: Proceed 3 miles East on Route 30 to the Mt. Zion Road / Route 24 interchange, exit and turn right at the traffic light onto Mt Zion Road / Route 24 South. Proceed 6 ½ miles on Route 24 S to Red Lion. The train station is located on your left just past the signal light at High St. Look for the “OPEN” flag and sign, and red caboose. Our fall program series kicks off on September 27! 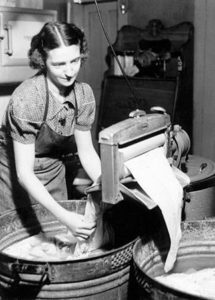 Join us as Bob and Sue Lee share their tales of Wash Day. They will show their collection of antique laundry items as well. Come reminisce with us. Our meetings are held at St. John’s UCC, 161 North Main Street, Red Lion and they begin at 7:00. There is a parking lot behind the church and the door to our meeting room is right there. No steps. 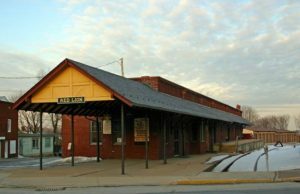 Please join us on May 24, 2018, for a tour of the Red Lion Train Station Museum. Instead of our usual speaker, docents will direct visitors on a tour of the Museum. 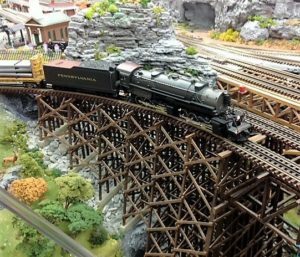 Since consolidating all artifacts from the Center Square Museum, the Station Museum has undergone remarkable changes. Items that had never been displayed in the past, are now on view. The meeting will begin at 7:00, at 73 North Main Street, Red Lion. Parking is at the metered spots (no charge) and beside the Station. For more information, call the RLAHS at 717-244-1912. Meetings are free and open to the public; membership is not a requirement to attend. Red Lion schools are closed for tomorrow, March 22. It is our policy to cancel meetings when the school cancels. Therefore, we won’t have a meeting this month. We’ll reschedule our speaker for the Fall. Our next meeting will be our annual Spring Banquet. Reservation forms and details are in the last newsletter. Join us on March 22, 2018, at 7:00 p.m., at St. John’s UCC, 161 North Main Street, Red Lion PA. Our speaker will be genealogist Jerry Smith. His topic is Pitfalls in Genealogy Research (with a Few Horrid & Humorous Examples.) We will explore common misconceptions, mistakes and traps that researchers unwittingly include in their own family history research. Being aware of these is the first step in making sure your own family history is accurate. Using the right resources and techniques may get you through your brick wall. Discussion will include readily available, but lesser used resources often overlooked in family research. All budding, as well as, experienced genealogists are invited to attend. Our meetings are free and open to the public. Parking is available at the rear of the church. 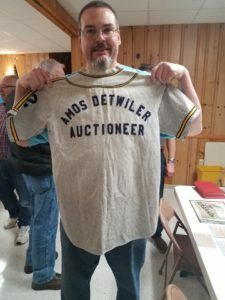 Tom showing an antique baseball uniform. Please join us on February 22, 2018, for our annual Show and Tell meeting! Just like in grade school, bring an interesting, unique, or antique item and tell us about it. It is so much fun to see what everyone brings. Meetings start at 7:00. Our meeting will be held at St John’s UCC, 161 North Main Street, Red Lion, PA. Meetings are free and open to the public. In the event of snow, we’ll cancel if Red Lion Area Schools cancel or let out early. If they are only delayed a couple hours, we’re still on.